360factors, Inc. is a cloud based Enterprise Risk and Compliance Management System automation technology and services company. We help companies improve business performance by reducing risk and ensuring compliance. 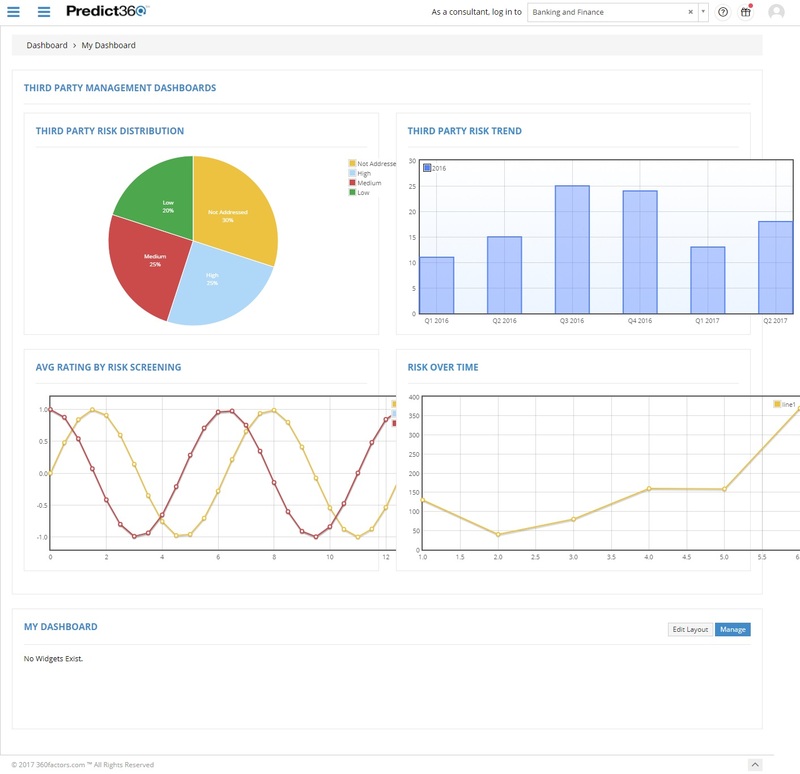 Our cloud-based Enterprise Risk and Compliance Management technology platform, Predict360, uses unique mapping and cognitive computing technologies to provide regulatory insight, predict risks and drive operational excellence. Predict360 vertically integrates regulatory information, policies and procedures, risks and controls, audit and inspections, and on-line training in a single platform. Its user friendly interface and pre-configured content enable functional managers and staff to manage their day-to-day risk and compliance activities while providing executives visibility into the risk and compliance profile of all its businesses and assets. 360factors, Inc. (Austin, TX) helps companies improve business performance by reducing risk and ensuring compliance. Predict360, its flagship software product, vertically integrates regulations and requirements, policies and procedures management, risks and controls, audit management and inspections, and online training and qualifications, in a single cloud-based platform based on artificial intelligence.